The Val d’Anniviers region in Switzerland is not known to many, and accordingly is one of the best kept secrets of the Alps, as it offers everything you could possibly want from a ski area. 225km of near-vacant piste are spread out across five traditional alpine villages: St Luc (1,655m), Chandolin (1,936m), Grimentz (1,553m), Zinal (1,600m), and Vercorin (1,330m). 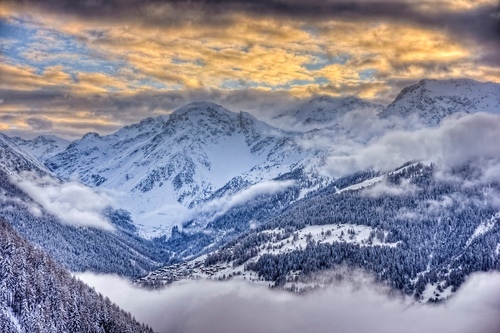 Each of these resorts has its own separate ski area, with St Luc & Chandolin and Grimentz & Zinal being connected by ski lifts. The region is undoubtedly a sublime place to ski, with long cruising runs that remain chalky due to the altitude and tranquil snow fields perfect for family skiing. However, the main selling point of this region is the acres and acres of untracked off-piste terrain, punctured by trees and scattered with powder pillows and couloirs. The views here are spectacular, the queues non-existent and the mountain restaurants are excellent. What better place for a ski holiday? St Luc is a quintessential alpine village, with tiny streets barely wide enough for a car to drive through, lined with old chalets and family run hotels including the 4-star Bella Tola. The pisted ski area here is relatively small but does give access to skiing over 3,000m. There are great touring possibilities all over the surrounding mountains with plenty of access to off-piste terrain. At the Chalet Charr you can truly escape the stress from work and everyday life, and just relax and unwind. Chandolin is the highest resort in Val d’Anniviers neighbouring St Luc and mirrors its qualities both on and off the slopes. The two resorts are connected by the Cabane Bella Tola chair lift and give access to 75km of piste between them. 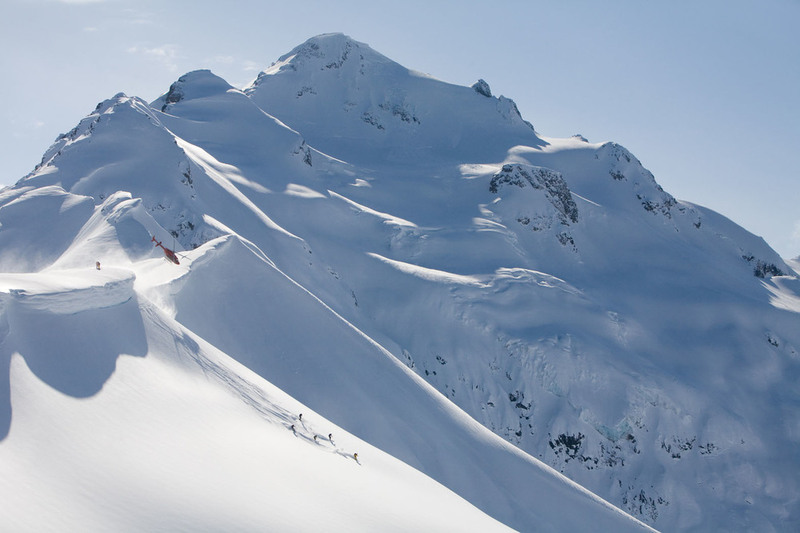 The off-piste here is also incredible with the resort hosting qualifying rounds of the annual Freeride World Tour. It’s not uncommon to find yourself completely alone on the mountain here during weekdays and so an utterly tranquil atmosphere is present. Again, the opportunity for off-piste skiing is vast and snow coverage is never in doubt. Grimentz is another picture postcard Swiss mountain village with 50km of skiing available in the resort and a further 60km in the connecting next door resort of Zinal. This area is best suited for those looking to do some piste cruising, as although the off-piste is extensive, it tends to get tracked out quite quickly. That being said, “tracked out quickly” in Val d’Anniviers is far slower than anywhere else in the Alps. Zinal is another fantastic village in Val d’Anniviers with easy access to fantastic skiing both on and off the piste. The majority of the slopes here are north-east facing, and with state of the art snow making, the resort opens for international races and training from early November. A 100 hectare dedicated free ride area gives skiers the chance to explore freely and ski past the amazing Moiry Dam. Zinal also has an avalanche training centre run by Mammut which is open to everyone, and teaches skiers how to operate transceivers and other such equipment. The couple-owned Chalet Edelweiss is the perfect place to stay, especially as it's situated at the bottom of Zinal's longest run, plus the free ski bus stops just outside the door. Vercorin is a small beginner and intermediate ski area at the front of the Val d’Anniviers region and is the best place to head to when it’s snowing due to its terrain. An incredible number of perfectly spaced trees result in some calling it the best tree skiing in Europe. Whilst there is no nightlife or après scene, it remains a beautiful and unique resort. All of the resorts in Val d’Anniviers are within a 2 hour drive of Geneva airport and a 45 minute drive from Sion airport, which offer direct flights to London every Saturday. Driving from the UK is also very possible with it taking roughly 8 hours 30 minutes from Calais to Val d’Anniviers. For those who prefer not to ski, there are many other activities to get stuck into, such as zip lining, ice skating and snow tubing. The more intrepid of you can have a go at paragliding or even ice-fall climbing, which is only possible up until February as then the temperatures aren’t cold enough to guarantee maximum safety. The François-Xavier Bagnoud Observatory in St Luc allows visitors to gaze upon the night mountain skies and look at various stars and planets. Resident alcoholics can arrange a tasting of the Vin du Glacier, which is definitely not your usual white wine. All the wine from the region is blended in a single barrel which is never emptied, so new wines are blended with those dating back to 1886, leaving an acquired taste. The ESS (Ecole Suisse de Ski) is the only available ski school in Val d’Anniviers and offers tuition to all ages and abilities from group lessons to private ones. The ESS operates in all five of the resorts in Val d’Anniviers.